"From a medical perspective, [the Jamboree] went really well," says Deputy Chief Medical Officer David Berry. In any community of 36,000 or so people, one expects some injuries or illness along the way. 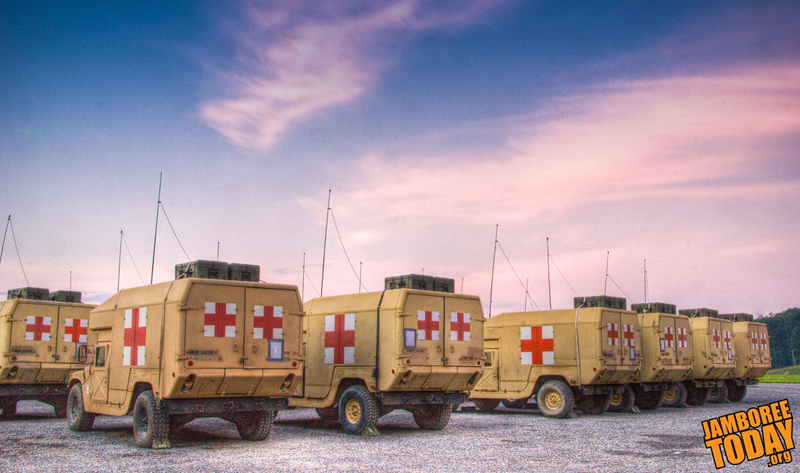 As the 2013 National Scout Jamboree winds down, medical and safety staff reflect on a well-planned and well-executed effort that kept Scouts, Venturers, and visitors out of harm's way. "Time!" shouted one of the Navy SEALS as eight Scouts strained their forearms attempting to do 10 pull-ups in two minutes during the SEAL Challenge offered at the 2013 National Scout Jamboree. 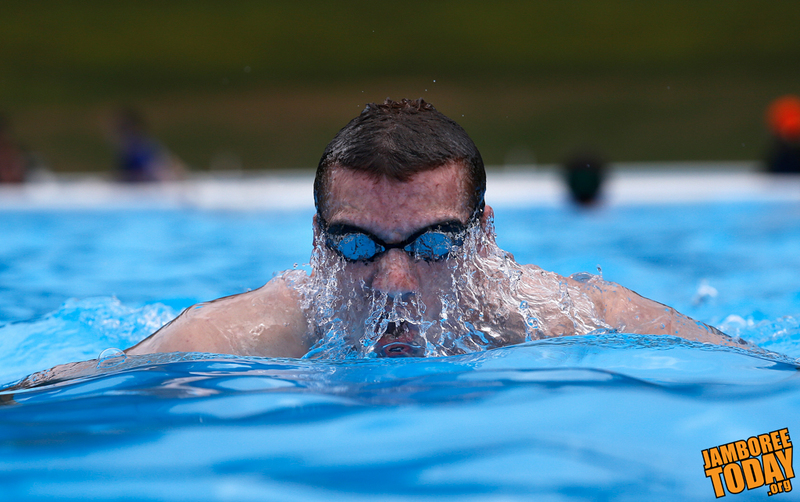 This followed a rigorous proficiency test of a 500-yard swim done in less than 12 minutes, 30 seconds; 50-90 push-ups completed in a two-minute time frame; 50 curl-ups in less than 2 minutes; and a run of 1.5 miles completed within 9 minutes, 30 seconds. 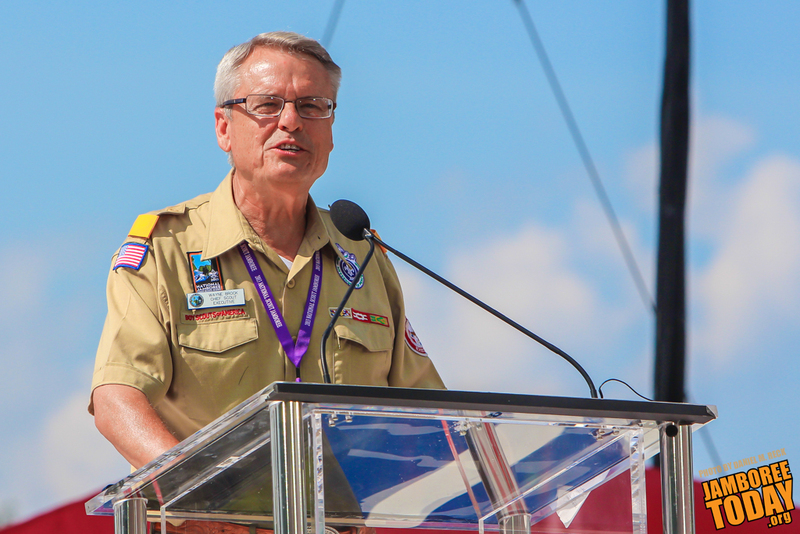 "Fantastic" is the word Boy Scouts of America's Chief Scout Executive Wayne Brock utters right away when asked to describe the 2013 National Scout Jamboree. He speaks from many years of experience, beginning as a Scout himself, and has passed the Scouting passion down through his children, hopeful that it will continue for generations to come. 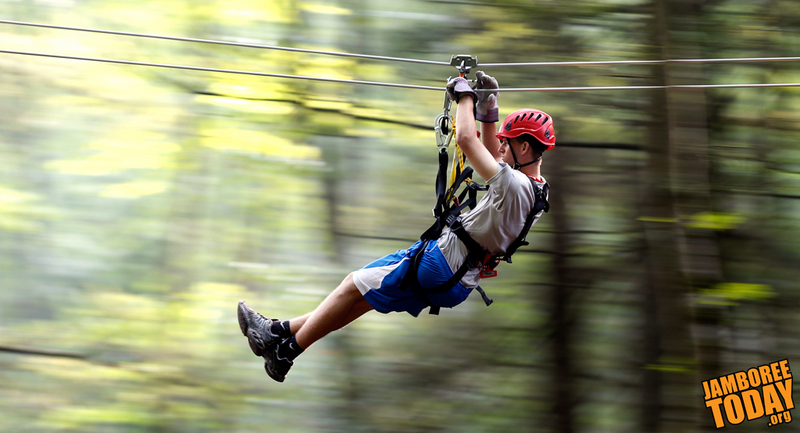 With over five miles of cables, the zip lines at the Summit Bechtel Reserve are the longest and best in the world. Although their use at the 2013 National Scout Jamboree has come to an end, they are a permanent installation at the Summit Bechtel Reserve ready to carry Scouts and Venturers on a flight like none other. First Scout at Jamboree Heads Home: Expectations Exceeded!